Oct 28 2013 Snow Goose Hunt - Tonight We Feast! 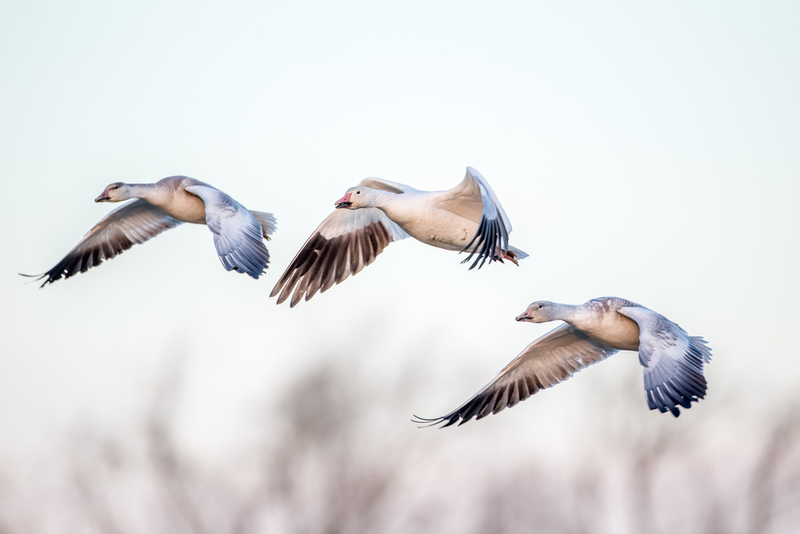 Another early morning and another great chance for a snow goose hunt! I haven't had much luck and I've been trying to figure out what I've been doing wrong and I think it is my profile that has been spooking the flocks. I have kept in a sitting position waiting for the geese to start their decent on my spread so I decided to lie down instead. I used my white camo again this morning and adjusting my profile seemed to do the trick. For the first few waves I stayed sitting up and once I adjusted to a prone position the geese came in on my decoy spread. It was perfect! 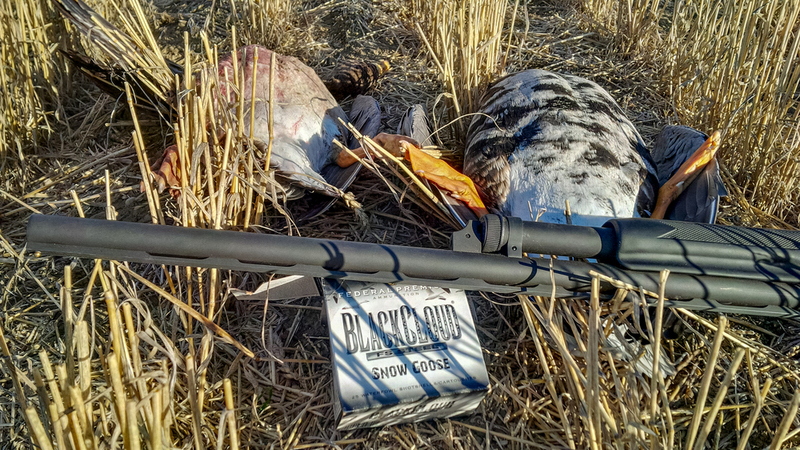 My Stevens 320 shotgun worked flawlessly and I cannot speak highly enough of Black Cloud Snow Goose shotgun ammunition. 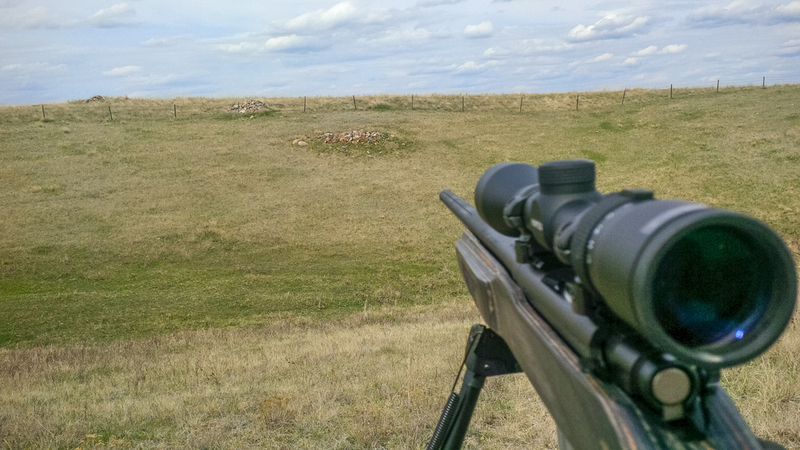 The knockdown power is amazing and the felt recoil, even with my Stevens, does not bruise your shoulder for weeks. Overall a great combination! Maybe not the best hunt of my life but it was the best self-guided goose hunt that I have had since I started hunting. It definitely feels good to have figured out what I was doing wrong. Now I just need to buy about ten or twenty dozen more snow goose decoys for my spread and I can have more room for error. Goose cutlets tonight and I plan on plucking at least one whole goose for Christmas dinner. Oct 21 Snow Goose Hunt 2013 - What's Wrong with You?? ?